Five poets will read for us at the next Mirrorball night on 29th October: Jonathan Edwards, Martin Malone, Mark Russell, Anne Stokes and Ann Rawson. 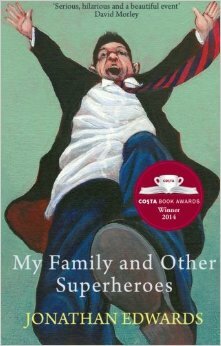 Jonathan Edwards’s first collection, My Family and Other Superheroes (Seren) won the Costa Poetry Award and the Wales Book of the Year People’s Choice Award. It was shortlisted for the Fenton Aldeburgh First Collection Prize. His poems have won prizes in competitions including the Cardiff International Poetry Competition, the Ledbury Festival International Poetry Competition and the Basil Bunting Award, and have appeared in magazines including Poetry Review, Poetry Wales, New Welsh Review and The North. He works as a teacher. Mark Russell has published two pamphlets, Saturday Morning Pictures (Red Ceilings Press, 2015), and Pursued by Well-being (tall-lighthouse, 2013). His poetry has appeared in a variety of publications, including The Rialto, Under the Radar, The Interpreter’s House, Tears in the Fence, The Frogmore Papers, Poetry Salzburg Review, Gutter, Bare Fiction, Molly Bloom, Shadowtrain, Otoliths, and fourfold. Ann Rawson’s First pamphlet: “Chasing Winter Dragons” (2014). Short-listed for the Callum Macdonald Award (2015). She has also been short-listed for the James Kirkup Competition (2012). 29/10/15, 7pm in the CCA, free to members or £5 on the door for non-members. Unfortunately Les Murray has taken ill and can no longer attend our event this Thursday – he has just been released from hospital and has flown home – we wish him the best. Our new line-up for Thursday 15th October is: Sheri Benning, Peter Mackay, Mary Thomson and Don Paterson. 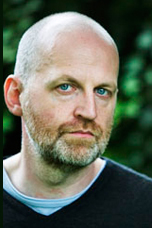 Don Paterson was born in Dundee in 1963. His poetry collections include Nil Nil, God’s Gift to Women, Landing Light, Rain and 40 Sonnets.He has also published two books of aphorism, as well as translations of Antonio Machado and Rainer Maria Rilke. His poetry has won many awards, including the Whitbread Poetry Prize, the Geoffrey Faber Memorial Prize and all three Forward Prizes; he is currently the only poet to have won the TS Eliot Prize twice. He was awarded the Queen’s Gold Medal for Poetry in 2009. He is a Fellow of the Royal Society of Literature, the English Association and the Royal Society of Edinburgh, and is currently Professor of Poetry at the University of St Andrews. Since 1997 he has been poetry editor at Picador Macmillan, and he also works as a jazz musician and composer. He lives in Edinburgh. Peter Mackay is a poet and broadcaster, originally from the Isle of Lewis, and now living in Edinburgh. His first full collection, ‘Gu Leòr / Galore’ was recently published by Acair; he also has a pamhplet, ‘From another island’ with Clutag Press. He also lectures at St Andrews University, and is a 2015 BBC Next Generation Thinker. Mary Thomson moved to Scotland in 2005 from Yorkshire, where she worked as a freelance art critic, curator of exhibitions and writer about art and artists. 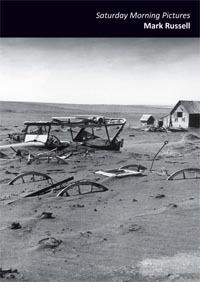 Alphabetical Order is the fifth in a series of poetry pamphlets she has published since 2006, two of which have been short listed for the Callum Macdonald Memorial Award.